Part of IMI plc, the group have a sales and service network in 75 countries, as well as manufacturing capability in the USA, Germany, China, UK, Switzerland, Czech Republic, Mexico and Brazil. They support this with there global centres of technical excellence, and facilities for CFD design and R&D testing and employ a dedicated team of field engineers, sector specialists and key account managers – all committed to providing excellent service to our customers. 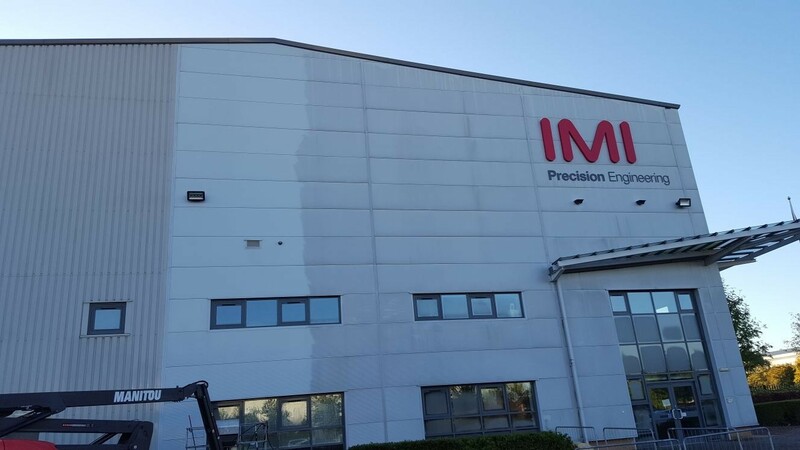 When the facility on Fradley Park was to receive a high profile visit from potential global clients, Plant Managing Director Charles Bamford came to us to deliver a cleaning solution that would provide an immediate impact upon their arrival to the site. 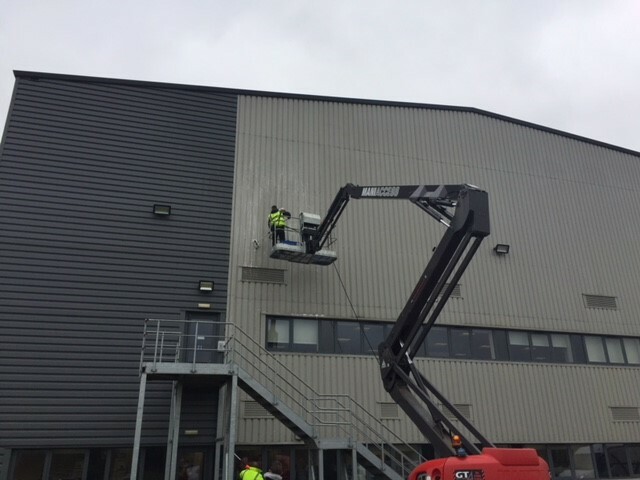 The size and prominence of the facility presented an obvious answer, that of a high specification cladding, window and canopy clean. The elevations selected allowed for the most cost effective solution while providing the greatest aesthetic impact. 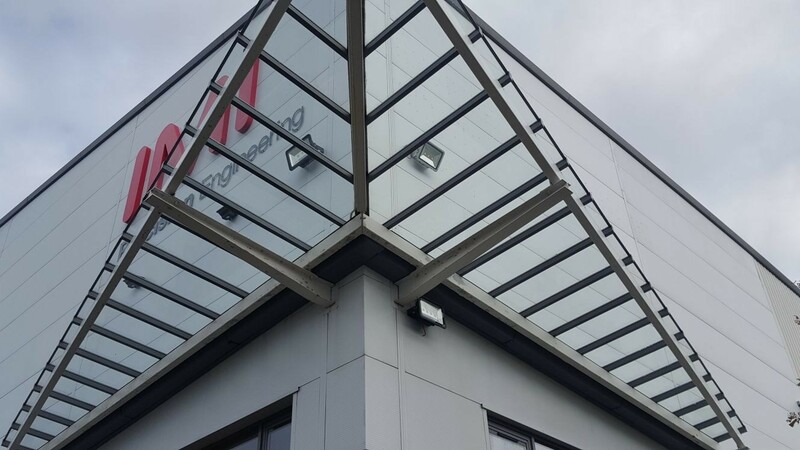 The glass canopy was in particular need of a renovation clean, removing the build up of algae and dirt not only to the surface of both the top and underside of the glass, but also the steel supports and framework. Our scope of works included a variety of methods, all delivered by way an articulated boom supplied by GTAccess of Bromsgrove and via our inhouse IPAF accredited operatives. The final finish was achieved by using specialist chemicals and a hand finish, specified by our client which delivered the results clearly seen in the Project media file above. 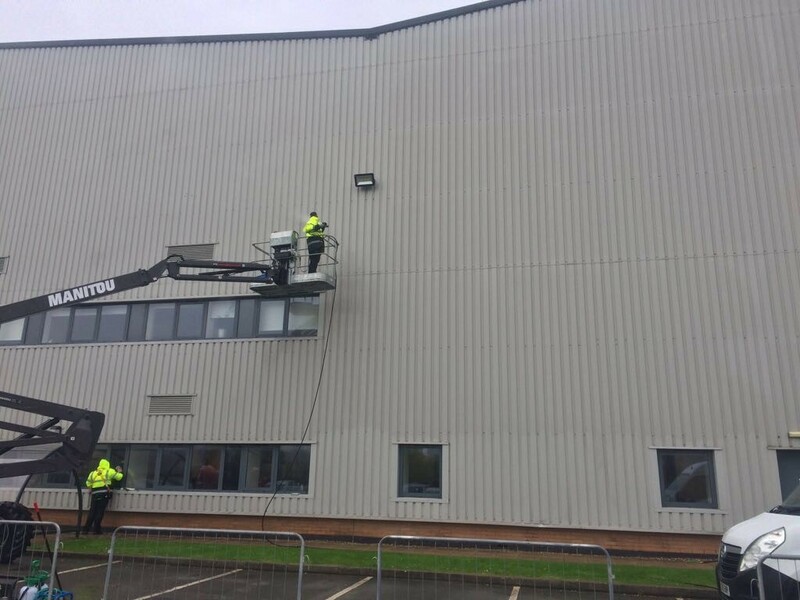 If your looking for amazing results, not only in relation to cladding cleaning but to a complete range of Periodic Cleaning Solutions, contact us now for a free no obligation quotation.